Who doesn’t like to have an alluring bedroom for a restful sleep? The bedroom is often a private sanctuary for us to recharge. As we finished our hectic schedules, we yearn to dive into our personal space where the disturbance and stress are mentally kept away. The best treat is probably lying down on fresh bedding that has a lingering sun-dry crisp comfort. Here are some ideas to build this dream castle. 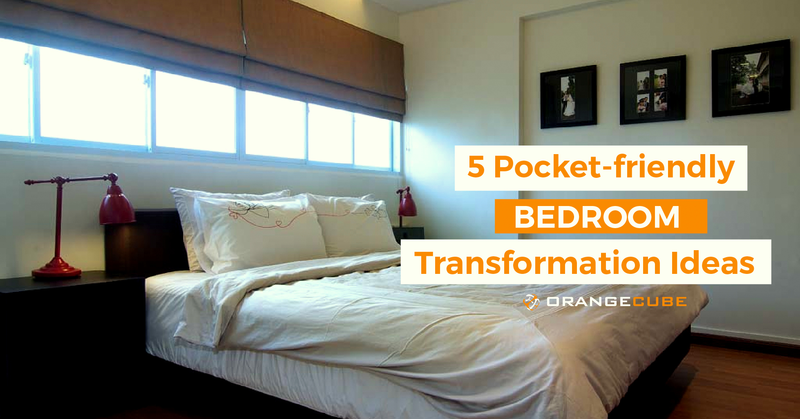 If you are someone who prefers constant change to your bedroom design, decorating the space with accessories is an ideal strategy compared to permanent feature. For example, add an iconic “old-fashioned” fan or even a ceiling light for a “personalised” appeal. A painting on a feature wall can add focus to the design layout of the room. If budget is a constraint, why not make changes to the wall? Going back to basics with neutral light colours help to brighten up your room. It evokes an uplifting feel of lightness. Go for a more textural wall to avoid a “flatness” look to space. For a visual treat, pastel shades have an amazing ability to add a dose of delightful charm to the area. Similar to new bedding, a rug injects a lively play of colours and patterns to your sleeping area. To avoid overpowering the room with a cluster of clashing hues, you may consider solid colour rug such as grey for a modest outlook. If small floor area is a concern, go for a rug that has a narrow runner. With a comfort stretch of your arm, you can reach for a soothing cup of tea and your favourite book. Often seen as an essential item, bedside table has been a classical timeless piece in most bedrooms. A complementary piece to your bed, a contemporary cream-coloured with a wooden frame is a favourite for a Scandinavian design. Keep it simple with just a couple of compartments for a neat look.